Hey Wannabe Naturalista, Listen Up. This Is Why Your Hair Won’t Grow. Naturalista. Did that name tickle your fancy? Do you dream of having big hair like those “gurus” on YouTube? Have you raided your local beauty supply shop on so many occasions that the cashier knows you by name? How many times have you stalked Shea Moisture for sales? Here’s the thing. You are not alone! 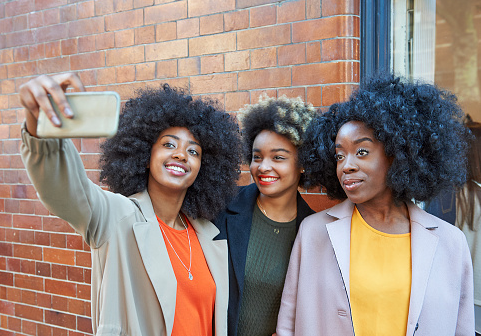 In the past few years, a lot of black women have stood in line to purchase the next big hair product. Sale of relaxers have dwindled by 26%. Good for us, right? All those chemicals we treated our hair with once a month are no more. All that burning and rushing to wash the creamy crack is no more. But in your case was it worth it? Are you regretting joining the community? Last year in April, I took out my weave and reached for my Afro comb. I have been perming my hair since I was 10 years old. Now double that age and then some, relaxers were my life. I had my routine down to a science. I started combing my hair and it started falling out. Picture this: My skin tone is Lupita/Viola –esque and for whatever reason in the world, I dyed my hair ginger. Boy, was I going through it. I looked at my long soft hair in balls of honey blonde and ginger on my bed. My first instinct was to grab scissors and do justice to this nightmare. At a point in my life I was bald so I had no problem with cutting my hair. By bald, I mean Amber Rose bald. In fact I like baldness. My mom barged into the house and looked at my hair and said, ‘Are you ok?”. Of course not. I was involuntarily balding so no. Maybe a little dramatic. But that was my naturalista moment. The plan was to braid it and transition enough to get new growth so I could cut it off and have a tiny Afro. So I got my hair braided and wore it like that on for 8 weeks. I took it out and got my scarf on. At the time I had watched at least 349 YouTube videos on natural hair so I was an expert at that point. I stormed Walgreens and bought brands with “natural”, ”oil”, ”no-lye” and “herbal”, in their names. The damage to my bank account was $87 plus tax. Wait but my relaxer box and its contents are $30 max. But I was set on getting a lustrous, curly, little Afro so I didn’t even mind the cost. I used just about everything on my hair. Vinegar, avocado, yoghurt, honey. I kid you not. After four months or so, the ginger ends were almost gone and how I loved to feel those curls on wash day. I decided not to big chop. This is the mistake I made and the mistake I do not want you to make. Stay off YouTube. I am serious. I am a YouTuber and I am telling you to take everything you hear with a grain of salt or as hobbyist advice. If you want styles and tricks, watch videos but keep in mind that most of the time the advice you receive is not professional advice. I did not need to buy all those products. They hardly changed anything. When you decide to go natural, find a hairstylist. There are many stylist on Styleseat who cater to your transitioning or natural hair. Ask them about what products to use. Make sure you are doing this for you and not to join the trend, because guess what? Those girls with big hair have been at it for years. Big hair is not synonymous with healthy hair. Treat your hair like you would a plant. Water, nutrients (from food), oils and time will grow your hair. Soufflés’,caviars, and whatever fancy name companies give to products are to entice your senses. It is called natural for a reason. Less manipulation, more care. I learned years ago that, like my melanin (which looks like the earth or soil), my body reacts better to all natural products. Eat well. Stay active to ensure proper blood flow. Drink water. Make sure the products going onto your scalp were made with all natural products. Research till you can’t anymore. Most importantly Naturalista, do not compare your growth to anyone. I thought because of my African heritage I would automatically have the kinkiest hair on the planet but my hair is so soft and needs little work. All the wash day horror stories do not apply to me at all because I moisturize my hair every day. When under braids or weaves, I spray a mixture of coconut oil and shea butter oil on to my scalp. Every day. I know a lot of people are frustrated about their natural hair. They have spent hundreds on it and yet it looks like their growth is stagnant. Instagram makes it worse. 30 second videos of mighty Afros and “two strand twists”. Believe half of what you see. While certain genes may not allow a lot of hair growth, proper care is paramount. There is a reason Madam C.J Walker made a killing. Our hair has a mind and goals of its own. Embrace it. If you can’t, you can always start over. Do not make your hair a part time job, with no benefits. There a lot of benefits when you decide to go natural and believe it or not, less time and money is one of these benefits. It’s your hair. It’s your journey to self-discovery. Listen to your hair and its needs. When you find a product that works, stick with it….forever. 1 Comment on "Hey Wannabe Naturalista, Listen Up. This Is Why Your Hair Won’t Grow." I found this website on Google.I was excellent and very informative. As a first time visitor to your blog I am very impressed. I found a lot of informative stuff in your article. Thanks for posting.I enjoyed reading your articles. This is truly a great read for me. virgin hair Our Silk Base Closures are so realistic, people will think they are growing out of your head.Our 8-20 inch closures are usually shipped out to you within 3 business days. MyBlackMatters.com is an online community dedicated to appreciating, empowering, and discussing matters relevant to young Black Women. This blog is committed to giving young black woman an outlet where they can openly share their personal experiences, opinions, and insights on the trials and triumphs of being a black woman from a raw, genuine, unfiltered perspective.